Dan H. Honeywell - Mediator & Arbitrator based in Orlando/Winter Park, Florida. Please click your preferred available date to submit a request. Your Appointment Form will be sent to Dan's assistant, Lindsey Staton. Dan H. Honeywell was a successful state and federal trial lawyer from 1970 through 2008. Although his career encompassed a predominantly injured party-practice with emphasis on complex issues, Mr. Honeywell also was called upon over his career to represent defendants and potential defendants with varying and often unique issues. And although his long-career included catastrophic injury cases and record verdicts, he was equally invested in representing a neighbor or a friend in a small matter or any stranger who had an unusual need or a just cause but found difficulty finding representation. 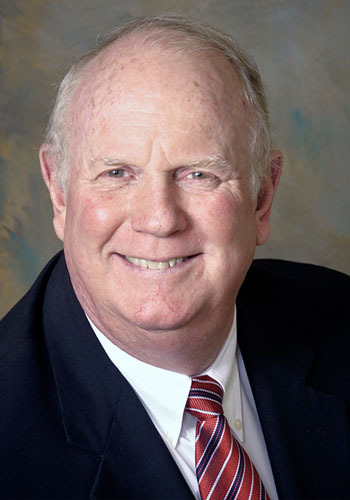 In addition to being certified by the Florida Supreme Court as a Circuit Civil Mediator in 2009 and an Appellate Mediator in 2011, Dan has been a trial attorney since 1970 and a board-certified civil trial lawyer since 1983. Mr. Honeywell has also been granted an AV rating in his law practice by Martindale-Hubbell continually since 1978 and for years repeatedly honored by many peer-review groups, including Best Lawyers of America continuously since 1993. In 2009, Dan left his successful Orlando-based law firm and started Honeywell Mediation to practice only alternative dispute resolution, full-time, in order to utilize his substantial experience and credentials to assist others find resolution without trial. Variable $/hour for mediation depending upon subject matter and number of particiipants. Call for specifics. No travel or prep charge or minimum in the Orlando metropolitan Area. No travel or prep charge for Central Florida. Outside Central Florida, call with case specific details for travel or minimums. For all other ADR, call or see website.